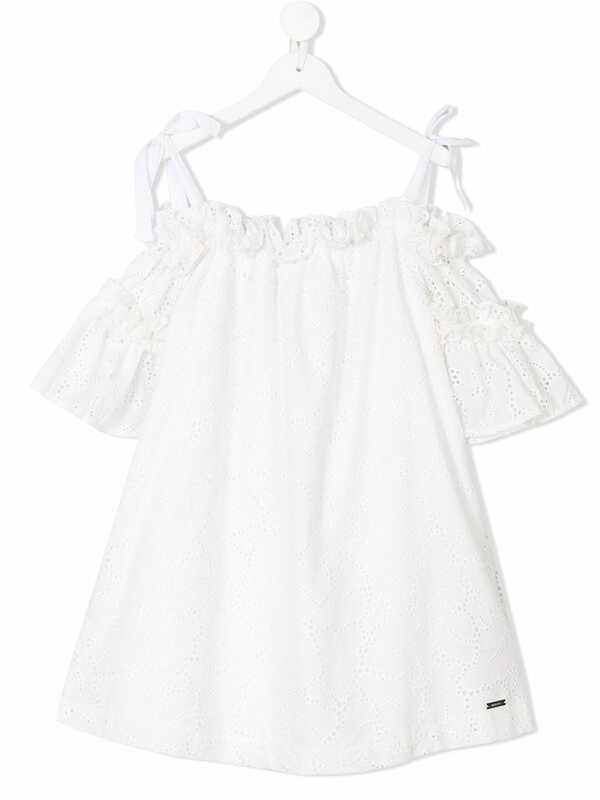 Women's white, off-the-shoulder mini dress from Australian fashion, beachwear and accessories label MINKPINK. Adorned with an all-over micro print, the lightweight cotton dress forms a relaxed silhouette with a drawstring Bardot neckline, short sleeves with elasticated cuffs, and a contrast pom-pom trim that sits above the ruffled hem. 100% Cotton Model is 168cm/5'6 and wears a size S.